Johan Mari Henri Ten Kate studied at the Royal Academy of Art in The Hague and also received instruction from his older brother, the historical genre painter Herman Frederik Carel ten Kate. He worked in Amsterdam between 1850 and 1871 and also spent short periods in England, France and Italy. In 1883 he travelled to Indonesia with a letter of recommendation from King William III where he made a number of locally inspired genre scenes. Ten Kate’s name was nevertheless well known to the Victorian art world and he found a ready market for his pictures amongst British collectors. His compositions also became widely accessible through engraved reproduction. Winter is typical of Ten Kate’s watercolours illustrating childhood themes of which he produced a great many sweet and somewhat repetitive examples. His pictures often combine a country or seaside setting with an incident involving non-middle-class children at play. This winsome portrayal shows a small girl and her elder sister enthralled by the arrival of a flock of sparrows at their cottage window to be fed on breadcrumbs. These kindly peasant children are intent on charming the viewer. The artist has deliberately avoided any unpleasant reality and offers us an innocuous view of domestic rural life in which such details as the basket, broom, clogs and ceramic jug add a homely touch. The cloying sentimentality of the scene is undoubtedly more apparent to modern viewers than may have been intended by the painter himself, for images of rosy-cheeked, well-fed children, irrespective of their class, were the accepted norm. 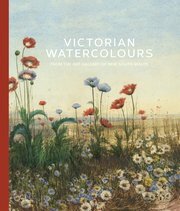 The vogue for genre painting devoted to themes of childhood increased markedly in the Victorian era. Such representations tended to concentrate on boys and girls as angelic innocents, for children behaving badly were no more tolerable in Victorian art than they were in Victorian life. Likewise, the terrible deprivations suffered by many poor children in this period were often glossed over by painters as unpopular and unlucrative subjects for art.